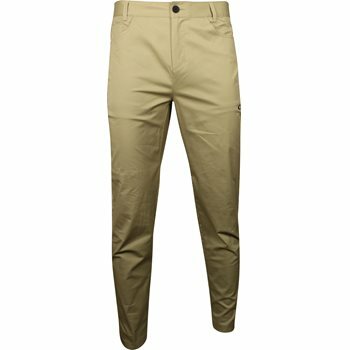 Oakley''s 5 Pocket pants provide plenty of space to keep your daily essentials handy. It features all of the familiar pockets, plus an additional zippered eyewear pocket on the left leg. The pants are made with stretchy fabric for a comfortable fit and a button waist with a zipper fly. The natural range of motion combined with a classic look will be sure to keep you relaxed on the course. The length is approximately 31 inches. They do not come in different lengths.